This new model MA 04 is a device to perform buttonholes on shirts and has been designed by MAICA to make the buttonhole operation faster. It is based on a patented system of a self-leveling guide that allows perfect alignment of the fabric during stitching. The guide is controlled by a motor that allows the operator to perfectly center the stitching of the buttonholes on the shirt. There is also the option of performing the buttonholes at a specific distance, even with different sizes for each buttonhole. 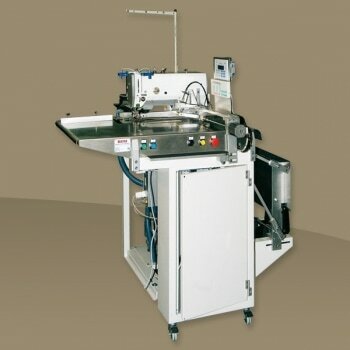 The progress of the fabric between one buttonhole and another is performed by a motorized conveyor. At the end of the stitching, a stacker raises the piece which allows one person to follow two or three sewing units.